I love when the Criterion Collection digs into the comedy archives and unleashes films like those of Preston Sturges or the prime of Cary Grant and Katherine Hepburn. 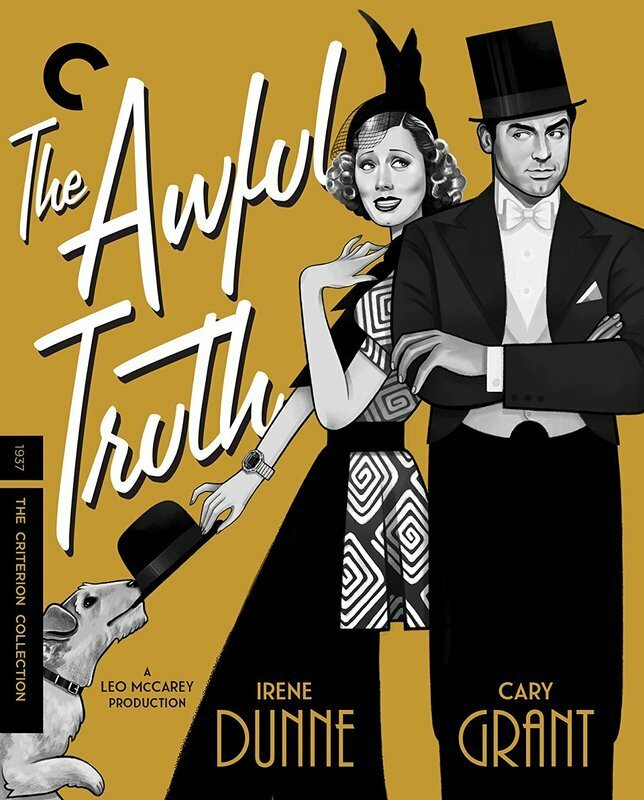 And so I was ecstatic to hear they were restoring the truly phenomenal "The Awful Truth," one of the best films of its kind ever made. He made a lot of wonderful films over the course of his notable career, but if you wanted to put one movie into a capsule and shoot it into space for other worlds to know about the star power of Cary Grant, this might be the one. He's so effortlessly charming here, and his work is well analyzed by David Cairns on a special feature. As for other bonus material, this one is a little light when compared to other Criterions, but you get an amazing film and an essay by the singular Molly Haskell. That's reason enough to click on the link below. Seeing this film at Ebertfest on the same day I caught a screening of Andrew Davis' "The Fugitive," I was reminded why I like the Liam Neeson action films, especially those directed by Jaume Collet-Serra (who did this, "Unknown, "Non-Stop," and "Run All Night"). I actually think history will be kind to these movies, especially in the "watch every time they're on cable department". 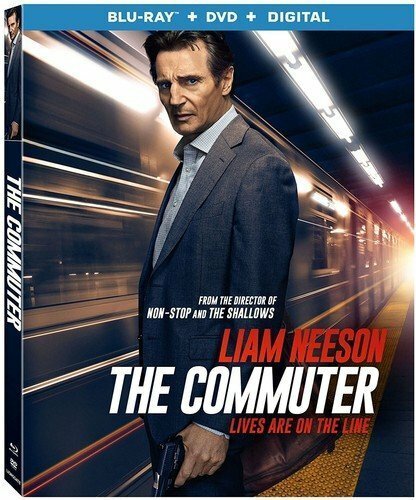 This one is blissfully simple as Neeson plays a man on a commuter train who is offered $100k simply to find someone. When he realizes why he has to find this person, he tries to turn the tables on the people involved and, well, things get crazy. I'm a sucker for streamlined action films and the great majority of this movie takes place on one train. It's effective and fun. Kind of like the story of Richard Kimble. Alex Proyas' "Knowing" has been a fascinating film for me since it was released for one simple reason: Roger Ebert gave it four stars! It's often pointed to as one of those films that illustrates how much Roger was willing to go out on a limb. We're increasingly in a world of film criticism that often feels like it's built around consensus, in which everyone has to agree that something is fantastic or awful, but Roger never cared about that. Not once. He always went his own way, and he was willing to embrace a movie like this that spoke to him even if the rest of the critical body didn't agree. It's been re-released in a 4K Blu-ray and it's a better film than you remember (even if Roger's perfect rating may not be something I agree with) but it's a reminder that it's important to be in the minority sometimes when it comes to opinions. It's what makes us human. Ted Geoghegan is a long-time associate as a publicist and a friend, but I really don't think that colors my opinion of his work as a filmmaker. His startling "We Are Still Here" announced a director who was willing to do things a little differently from the rest of the indie horror scene, and this film really makes his unique voice clear in that it doesn't feel like anything else that came out last year. 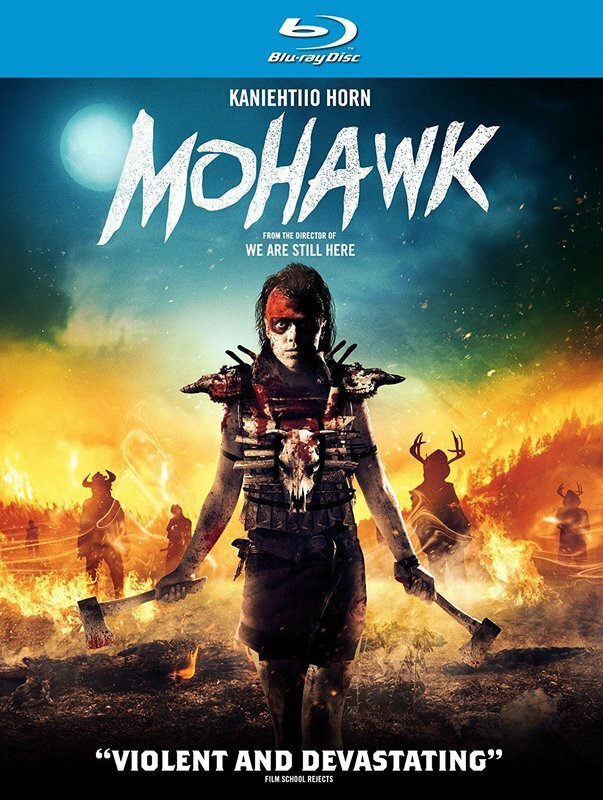 It's a story of Native American culture that's also a thriller and a story of empowerment, and in an era in which so many genre films look alike, it's so refreshing to see something like "Mohawk" that stands apart from the crowd. You should check it out. This column largely consists of films that I would recommend to buyers or renters, but I often extend it to include things that I realize more people like than I do, which is the case with Aaron Sorkin's directorial debut. I recognize that my opinion of this film is in the minority and that people who like it may want to know it's on Blu-ray and DVD. I will say that I still find it highly overrated, largely because of the issues I have with Sorkin's writing lately, and the deep misogyny embedded in it. Even this story that should be empowering given its protagonist culminates in a scene that fractures the entire narrative purpose of the story. 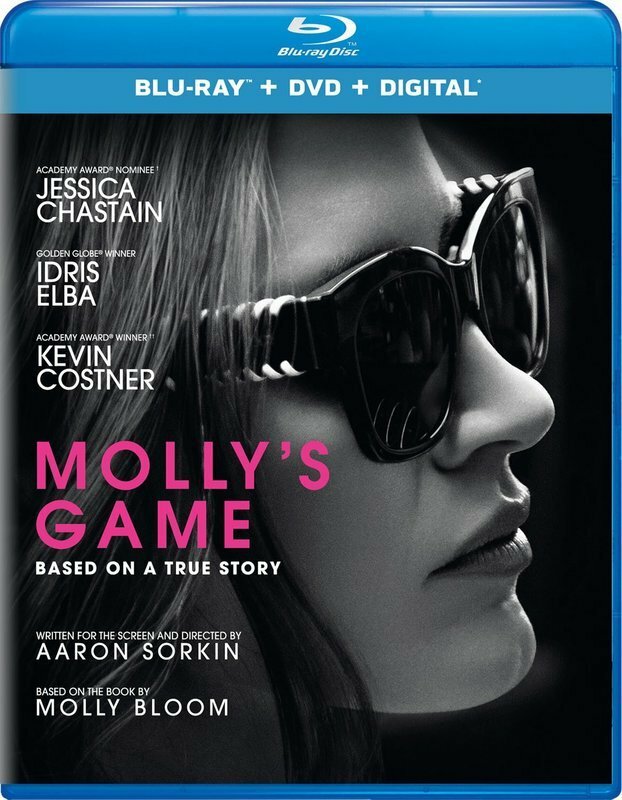 I will say that the performances here are uniformly strong, including Jessica Chastain, Michael Cera, and Bill Camp, but I wish another director could have smoothed out some of Sorkin's rough edges. There are no rough edges in P.T. Anderson's latest, a film that I'm increasingly thinking might actually be the best of 2017. Talk about a film that holds up well on repeat viewing. This movie is a masterpiece of tonal balance and production value, anchored by not just one great performance but three. 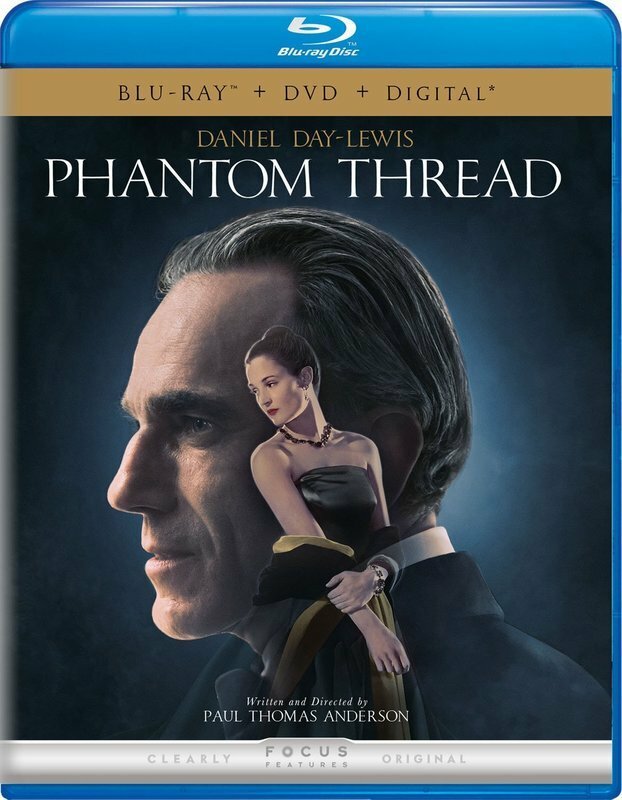 I love everything about "Phantom Thread," and have written about it too many times to add anything new to the conversation, other than to mention that it's a film that has gotten better every time I see it. That's not uncommon for Anderson films. I am a HUGE fan of Steven Spielberg's historical dramas, going to bat for "Lincoln," "Munich," and "Bridge of Spies" as being among the best works of his career. 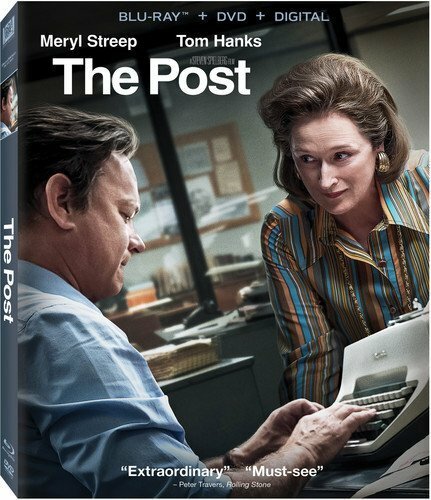 And so I was remarkably excited for "The Post," but consider second-tier Spielberg, in the good-not-great category of his career. Sure, the film is technically unimpeachable, and it contains the most interesting Meryl Streep performance in years, but it's easy to see how rushed this production was, and I wish everyone involved had taken a little more time to round out the reasons why they were making it and imbue it with a bit more heart and soul. Still, second-tier Spielberg is well-worth seeing.